Those in Montana know there are some excellent eateries to grab delicious seafood in the state. Despite its location, fresh-tasting seafood can be found all over. From raw bars to classic fish houses, here are the 10 best seafood restaurants in Montana. Dedicated to sustainable and, when possible, local product, Feast Raw Bar & Bistro has emerged as one of the best places for seafood in Southwest Montana. From ceviche and sashimi to blue crab, shrimp and salmon, at Feast you are certain to find a fresh, flavorful fish dish to tickle your palate. Having won regional accolades as “Best Seafood” and “Best New Restaurant,” Stillwater Fish House is the Flathead Valley’s go-to spot for fresh, delicious seafood. They purchase only sustainably-harvested product from fishermen and farms. Their fin fish are never frozen and their shellfish are fresh as can be. Finn & Porter is a posh collection of seafood restaurants with four locations across the country, one of which is in Missoula. They source their seafood from local purveyors, whenever possible, and ensure that their product, whether from the grill or the sushi bar, is the freshest available. Sometimes the best local place for seafood is a good steakhouse that’s dedicated to quality product. In Billings, Bull Mountain Grille is just such a place. They offer appetizer classics like calamari and crab cakes, as well as a shrimp scampi pasta dish. The Grille also features salmon, shrimp, and whitefish on their main menu, and has regular seafood specials. Always a popular spot in Missoula, the Depot Restaurant has an awesome seafood selection. They have more than half a dozen seafood appetizers, ranging from calamari fries to shrimp cocktail. The Depot doesn’t slack off when it comes to entrees, either. Swordfish, scallops, king crab, and lobster are just a few of their offerings from sea. In Kalispell, seafood lovers flock to JAGZ, which offers a good selection of fresh seafood appetizers and entrees. Small plates include steamer clams, calamari, or three kinds of seafood cocktails. 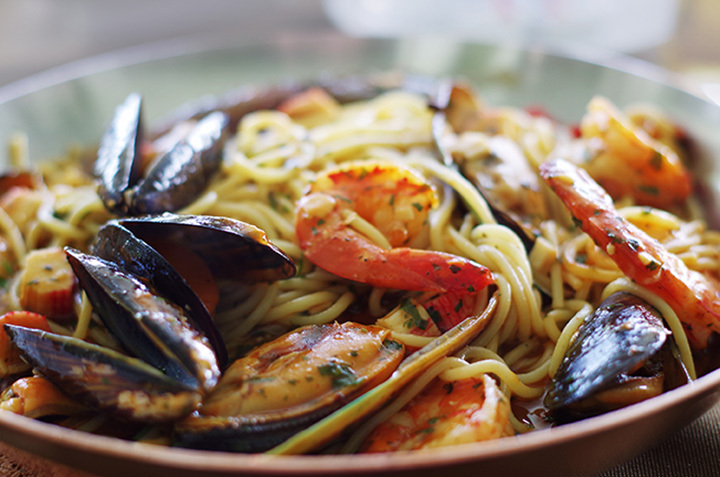 For the main course, you’ll find seafood salad and pasta selections, as well as several fresh seafood options. Bozeman is blessed with many excellent options for fresh fish and seafood, and Montana Fish Company is one of them. They always offer the freshest seasonal fish available and prepare it with creative precision. The restaurant also happens to serve some of the state’s best sushi. The Black and Yellow roll is awesome. Folks in the Flathead Region can also find fabulous finned fare at the Finley Point Grill in Polson. From steamer clams and mussels to calamari, ahi tuna, and shrimp, the appetizers will delight. More substantial offerings include a Cajun shrimp salad and several seafood entrees, including a cioppino. The Windmill Restaurant and Bar 51 is a longstanding Billings institution. A supper club with all the classics, they of course, serve all the seafood offerings you’d expect in such an eatery. Salmon, lobster, king crab, scallops, prawns, halibut: It’s all there. They even have fish tacos. You’ll find some of the freshest fish and best sushi to be had in Montana at the straightforwardly-named Dave’s Sushi—another Bozeman entry. Whether you like it in sashimi or nigiri form, or twisted into a whimsical roll, your palate will be delighted by Dave’s offerings. Try the S’Happenin’ roll.